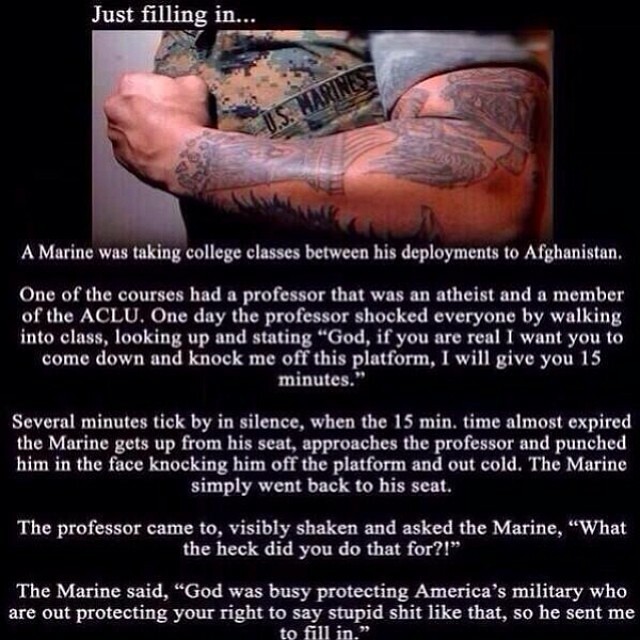 A Marine was taking college classes between his deployments to Afghanistan. One of the courses had a professor that was an atheist and a member of the ACLU. Several minutes ticked by in silence. when the 15 minutes were almost expired, the Marine got up from his seat, approached the professor and punched him in the face, knocking him off the platform and out cold. The Marine simply went back to his seat.